Hitting back at BJP MP Anurag Thakur, Congress leader Jyotiraditya Scindia on Wednesday, 24 February, lashed out at the government for attacking Rahul Gandhi. "Thakur made derogatory allegations against the Congress vice-president Rahul Gandhi," Scindia said in the Lok Sabha today. 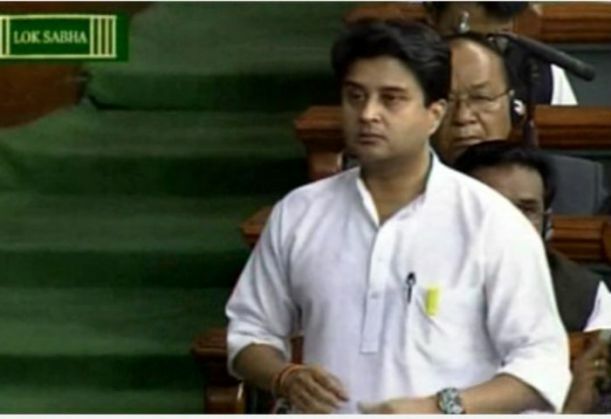 Scindia also slammed Prime Minister Narendra Modi for his silence over the death of Hyderabad scholar Rohith Vemula. The Congress leader accused the present government of trying to suppress the voices of youngsters of the country. Scindia took a dig at the Modi government for leveling sedition charges against the Jawaharlal Nehru University students. READ NEXT >> Lost power, farm distress: what's really driving the #JatQuotaStir?